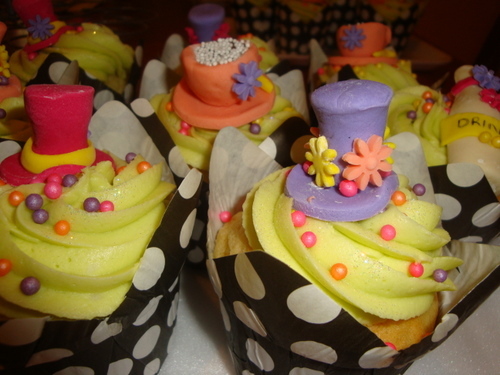 These are funky mad-hatter cupcakes I made for the mother of one of my clients. The theme of the birthday party was Mad-Hatter! Yes I did make them and was delighted how well they turned out after a week trying out different ways of making them. The teacups are made from a chocolate covered in plastic icing and so they are delicious as well as delightful to look at. The drink me bottles I made using plastic icing again and a chocolate bottle mould. Wow are you traveliing back here with your family that is brilliant news.